Robert Mugabe wins 2015 Confucius Prize. 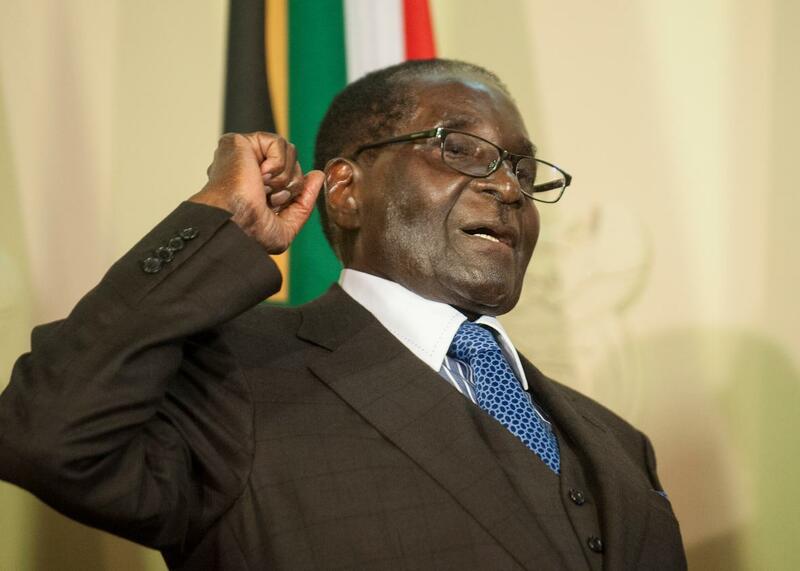 Zimbabwe’s President Robert Mugabe in Pretoria, South Africa, on April 8, 2015. This year’s Confucius Peace Prize, which bills itself as the Chinese rejoinder to the Nobel, was recently awarded to Zimbabwean dictator and mass murderer Robert Mugabe—a move very much in keeping with the prize’s tradition. The Confucius Prize was established by a Hong Kong–based group in 2010 as a response to the Nobel Peace Prize awarded to imprisoned Chinese dissident Liu Xiaobo. The first prize that same year was given to Taiwanese President Lien Chan, an advocate of closer ties between Taiwan and the mainland. While the organizers of the award honoring the Chinese “viewpoint of peace” claimed to be acting in coordination with the Chinese government when the prize was first created, they were rebuked by the culture ministry in Beijing, which has distanced itself from the award. Something of a trolling exercise, the prize certainly gets a lot more attention abroad than in China. Undeterred, they gave the honor to Vladimir Putin in 2011. Other awardees have included Kofi Annan and agricultural scientist Yuan Longping, who shared it in 2012; Chinese Zen master Yi Cheng in 2013, and human rights hero Fidel Castro last year. Mugabe’s family controversially owns a luxury villa in Hong Kong and his daughter studied there. China has also been a significant investor in Zimbabwe, though less so lately. Mugabe will be officially given the award at a ceremony in December (if he chooses to attend). The prize is nearly $80,000. The onetime revolutionary leader has been implicated in a number of human rights atrocities. Those include the Matabeleland massacres in the 1980s, in which North Korean–trained Zimbabwean troops killed more than 20,000 Ndebele civilians, and the campaign of violence following the disputed election of 2008 in which as many as 200 people were killed and thousands tortured and displaced. Mugabe is the subject of financial sanctions and travel bans by the United States and the European Union. According to Qiao Wei, the poet who leads the judging committee, Mugabe embodies the idea that “the 21st-century interpretation of Confucianism is ‘universal harmony in the world,’” and has “brought benefit to the people of Zimbabwe,” which would be news to them.